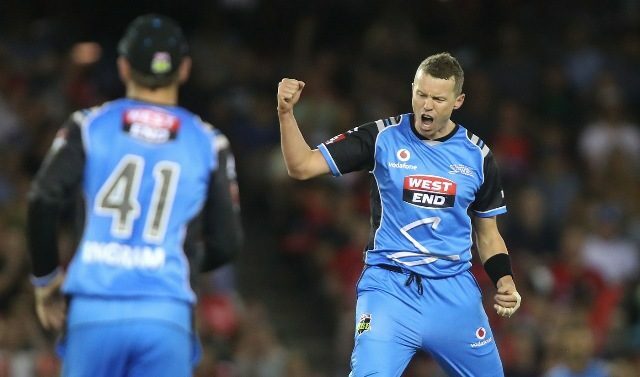 Australian pacer Peter Siddle has been included in the Twenty20 International squad for the upcoming series against Pakistan in the United Arab Emirates. He is likely to replace left-arm pacer Mitchell Starc who is suffering from hamstring problems. Starc did not bowl for many overs of the second day’s play of the Abu Dhabi Test and was fielding at slips most of the time. However, the Australian players are confident that Starc will make it through the injury and will be bowling once again. This will be Siddle’s first appearance in limited overs cricket in eight years if he is asked to play in the series. “I’d never played a full season of the Big Bash, I’d only ever played games here and there,” Siddle said. “I’d played a bit of it for Victoria before there was all the T20 hype and it wasn’t as big as it is now,” he said. The first Twenty20 International between Pakistan and Australia will be played on October 24. The second and third game will be contested on October 26 and October 28 respectively.